I have two more of the new OPI San Francisco Collection to share today! I considered sharing them all at once but there are a lot! It is a large collection and I don't want to have a post that goes on forever. Plus I think it will be fun to do some nail art instead of just swatches. For today's combo, I just thought they looked fabulous together! These two polishes contrast in such an interesting way. The combo of creme and shimmer also really makes the mani pop! I applied two coats of each polish, using Muir Muir as the accent, and then added my diagonal design. This is just a simple and easy freehand. Muir Muir is so much more than a plum polish! The shimmer adds such a unique and stunning effect to the polish! A-Piers is also an amazing creme! It really does have that yummy, melty chocolate feel to it. 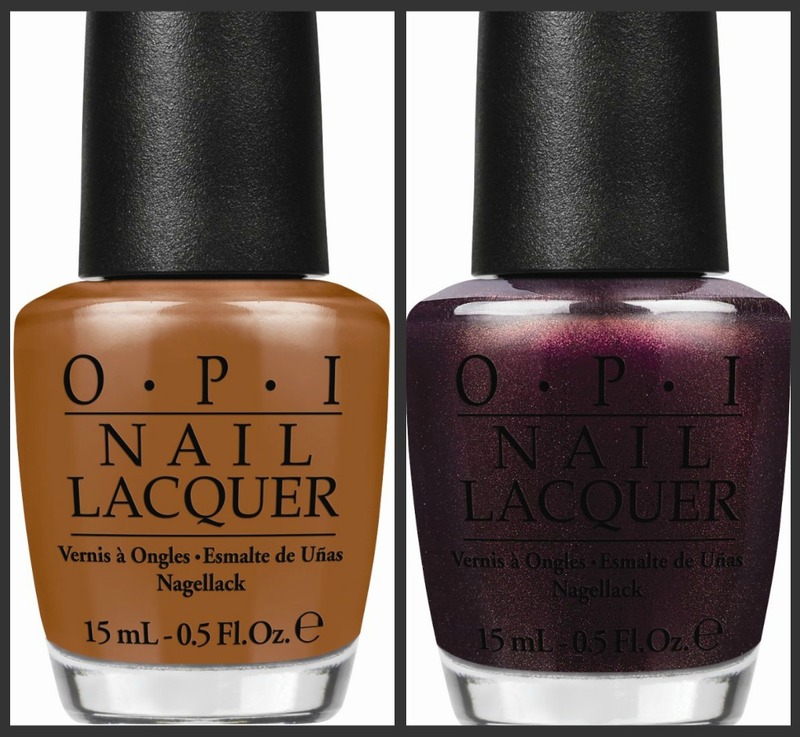 These two shades are fabulous and perfect for fall! Application was fantastic and the formula was perfect!